Leave the civilized world and enter the Arctic wonderland of low passes and ice covered fjords where icebergs raise like sculptures. 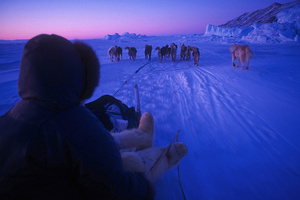 It is like travelling back to the time of the old polar explorers - all you hear is the sound of the sledge moving over the ice and the shouts of encouragement your driver makes to control his dogs. 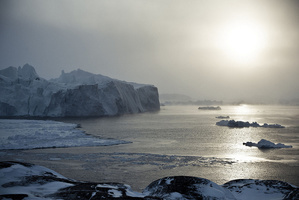 The route will be in the mountains and fjords close to Ilulissat and will depend on actual snow and ice conditions. Only operated when there is snow - expected from early/mid December to late March. Rent of fur clothes is included in the price. 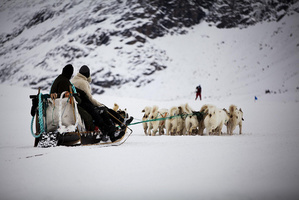 There will be one person on each sledge and note that two persons on the sledge is not available on full day tours. 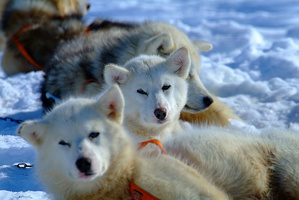 You have to be in a good physical shape to join a dog sledge tour. Duration: Full day (approx. 5 hours) including lunch. Ilulissat is world famous for its icebergs and a cruise provides the perfect opportunity to get close to these gigantic sculptures created by nature. Only operated when there is open water. Duration: 2½ hours (approx.) incl. refreshments. 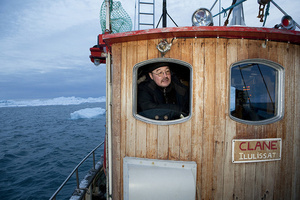 Do you want to enjoy the most exclusive views of the Kangia and its gigantic famous icebergs stocked in the sea? We offer a comfortable and safe 2-hour snowshoe walk with an experienced local guide following the trail from the power plant around the point to enjoy the panoramic view of the Sermermiut valley, the icebergs and the Disko bay. No previous experience is required, and everybody can learn how to move safely into the winter terrain with the snowshoes. Duration: 2 hours. 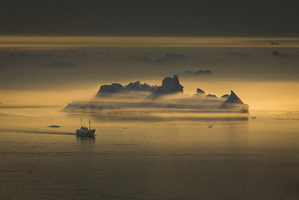 The rest of the day is free at leisure to explore Ilulissat or book an optional sightseeing flight. After the farewell dinner don't forget to keep an eye out for the Northern Lights. Excursion days may alter depending on weather and minimum number of participants.